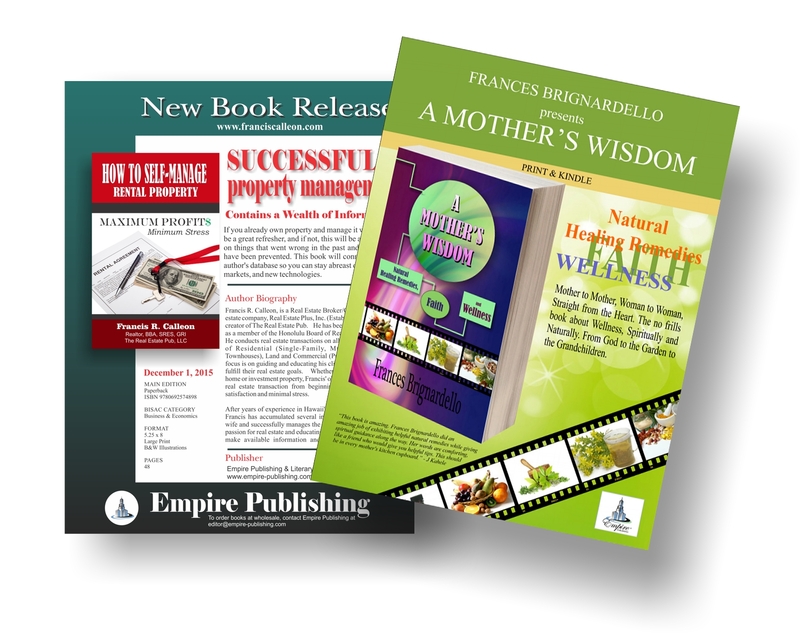 Authors that choose the Titanium Combo-Publishing Package receive 25 Premium Sell Sheets (includes layout and design) and a flash drive containing the file so the author can print copies when needed. Sell Sheets are what many authors use to get his or her book into retail stores. Our premium sell sheets are designed to grab the buyers attention. It contains the sales pitch, book cover, synopsis, book data, publishing information, contact info, and we include a free QR Code for the retail store buyer to scan for ordering your book.